I found some Nixie tubes at a reasonable price and snatched them up. I’m sure there’s a project waiting for them, I just haven’t figured out what it will be yet - a clock is a bit obvious! But first to test them out, and I stumbled across a few boost power supplies using a 555 timer. While these may not be the efficient or precise for a “real” circuit, they are certainly interesting enough for a quick test. 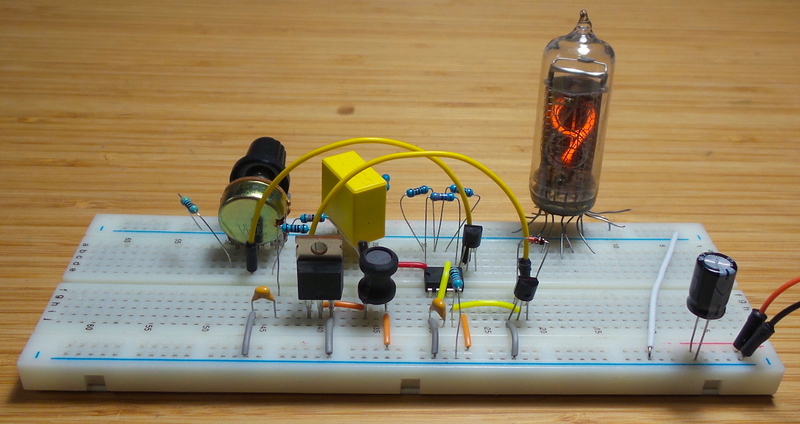 And it works quite nicely on a breadboard!